The time of the Fifth Dynasty c. 2494- 2345 BC) marks a period of profound transformation in Egyptian society. With a country economically depleted by the momentous building works of the Fourth Dynasty, put under further stress by dramatic climatic change, and with an expanding administration diluting the power of the monarch, a system of government based on one power centre – the royal family – was no longer adequate to meet the demands of an increasingly complex society. The death of Menkaura without leaving an heir, appears to have been the catalyst for the great changes in political and social organisation that followed. The new royal line legitimised their claim to rule via their devotion to the solar cult, building a series of distinctive sun temples in addition to their mortuary pyramid complexes, although the power of the king as guarantor of eternal life was eroded by the rise to prominence of the Osiris cult at this time. They responded to the real needs of the country with administrative changes including a reduction in the power of high officials such as the vizier and the opening posts in government to people of non-royal origin directly dependent on the king for their social position. 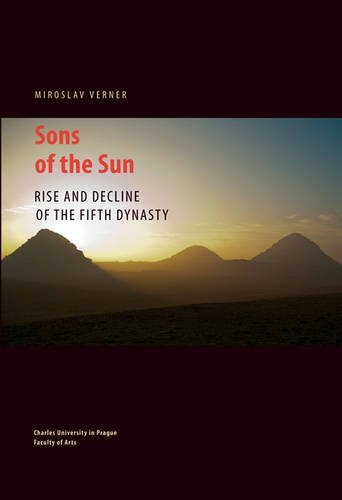 Miroslav Verner traces the complicated history of the Fifth Dynasty, rulers of Egypt for around one and a half centuries, beginning with the story of their origins as told in the Westcar papyrus. Using the latest academic research and evidence from recent discoveries at Abusir, Giza and Saqqara, he explores the evidence for each king from Weserkaf (Userkaf) to Wenis (Unas), their funerary cults and feast days, and the development of their pyramid complexes and sun temples. He summarises the transformational changes in society from the early Old Kingdom through to the end of the Fifth Dynasty, ending with a hypothetical reconstruction of the Fifth Dynasty family tree. A scholarly and highly absorbing work covering a pivotal period in ancient Egyptian history which deserves the widest readership. The determination to witness the wonders of past civilisations, perhaps even in the hope of archaeological discovery, has changed very little since the late nineteenth and early twentieth centuries. 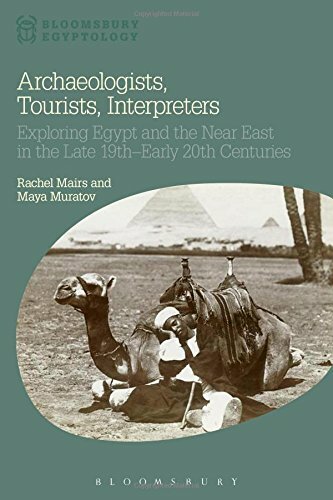 This absorbing book offers fresh insight into the ‘grand tours’ of Egypt and the ‘Lands of the Bible’; however, rather than focusing solely on the accounts of wealthy aristocrats – stories we’ve all heard before, in some form or another – the authors instead highlight the little-known social histories of their local interpreters and guides, known as dragomans. By exploring the identities of these men in the context of early archaeological colonialism, the reader is made fully aware of their multifaceted role in facilitating these complex trips, which often involved mediation, improvisation and being forced to take on much more than their remit. The perspective of one dragoman in particular, a Syrian man named Solomon Negima, is accurately portrayed due to the survival of his own testimonial book, in which he collected letters from clients, photographs and personal memoranda. Mairs emphasises that the positive terms which occur most frequently in Solomon’s testimonials are ‘obliging’, ‘attentive’, ‘scrupulously honest’, ‘painstaking’ and ‘trustworthy’, and his fluency in English and German, as well as his expert knowledge of ancient sites and the Bible, were greatly admired by his employers. Based on published and unpublished personal accounts, guidebooks, and correspondence, with a limited number of accompanying black-and-white images and a useful bibliography, Mairs’ and Muratov’s post-colonial, holistic approach encourages the reader to consider the early ‘grand tours’ of Egypt and the Near East in a completely new light. Anna is Assistant Project Curator, Amara West Project with the Department of Ancient Egypt and Sudan, at the British Museum. The image of ancient Egypt often conjures up visions of glittering golden treasure, thanks to the sensational discoveries in the tombs of Tutankhamun and the Tanis kings. 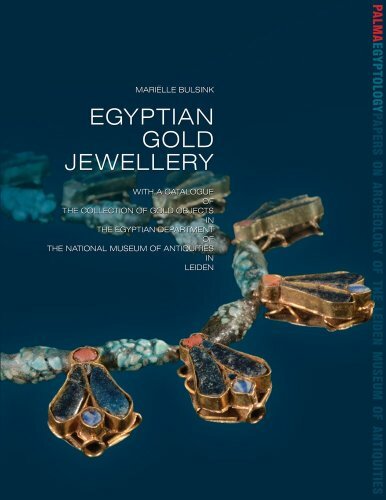 The National Museum of Antiquities in Leiden holds one of the best collections of ancient Egyptian gold objects, and in this volume, Mariëlle Bulsink uses this collection to highlight the techniques used by the ancient Egyptian goldsmiths who, despite hot and primitive working conditions, were able to produce stunning jewellery and works of art. The collection covers all periods of Egyptian history, with two-thirds dating to the New Kingdom, and reflects a range of quality; some of the items are on permanent display, while others are presented here for the first time. The author begins by exploring the significance of gold in ancient Egyptian religion, language and culture (a divine and holy material with magical powers, a metaphor for eternal life), where and how this precious metal was found and extracted, and its use in adornment, to reward loyalty and in smoothing the path of international relations. She then focuses on the goldsmiths themselves and the techniques they used to create such masterpieces, before presenting a catalogue of the Leiden’s gold collection, preceded by a brief history of the collection itself. The items, grouped by function (from ear ornaments and necklaces to finger rings and mummy amulets), are arranged chronologically within each section and accompanied by large black-and-white photographs with detailed information covering the provenance, acquisition details, dating, materials and detailed technical description (based on thorough visual inspection rather than on laboratory investigation). The objects are also shown in full colour in two sets of colour plates; highlights include a pair of earrings from the reign of Thutmose III made of six tubes of gold arranged side by side, soldered together and bent to create a circle, a Graeco-Roman earring made of three twisted gold wires and ending with a delicately carved animal head, a New Kingdom necklace of gold pendants in the shape of a lotus seed-vessels or poppy-heads, and a massive gold stirrup- shaped signet ring inscribed with the titles of the pharaoh Ay. This is an attractive, beautifully-illustrated book which will appeal to the general reader, while the detailed technical information, notes and bibliography make this an indispensable guide for anyone wishing to study ancient Egyptian jewellery and the techniques of Egypt’s ancient artisans in particular. The Ny Carlsberg Glyptotek in Copenhagen, Denmark is one of the world’s finest art museums, with an outstanding Egyptology collection. But its name seems very strange to non-Danish ears. Carlsberg! What on earth has the famous lager to do with Egyptology? The answer is simple: the museum was created in 1906 by the wealthy brewing magnate Carl Jacobsen (1842-1914) who founded the Ny (‘New’) Carlsberg Brewery in competition with his father’s ‘Old’ Carlsberg brewery, and the funds to support the museum come from the Ny Carlsberg Foundation. The staple diet of the ancient Egyptians was apparently beer and onions, so perhaps a museum founded on beer is very appropriate! ‘Glyptotek’ means ‘museum of sculpture’, which was Jacobsen’s passion; in 1882 he opened to the public a room in his house to display some forty items, but his collection grew exponentially and in 1906 the present building, with 50 rooms displaying over 3000 objects, was inaugurated. 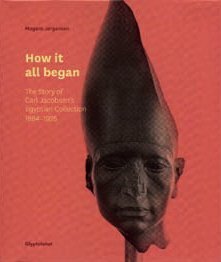 Jacobsen collected statues, reliefs and medals from all periods from ancient Egypt and Greece to the modern day but this new volume concentrates upon the Egyptian section of the museum. In acquiring these objects, Jacobsen was assisted principally by Valdemar Schmidt (1836- 1925), Denmark’s first Egyptologist; Jacobsen provided the funds and Schmidt the expertise. The book can serve as a beautifully illustrated catalogue of some of the major items in the Egyptian collection, but it is much more than that, because, through a wealth of archive material, it charts the fascinating story of the process of acquisition of the items, a process that combined luck and good judgement with business acumen. It is organised in date order, starting with the purchase from Egypt of a beautifully decorated mummy case in 1884. This was soon followed by the purchase of several major items of sculpture at auction in Paris, at which Jacobsen’s money enabled the Glyptotek to outbid both the British Museum and the Louvre. Many other purchases followed, and in 1908 Jacobsen made contact with Flinders Petrie and became one of his sponsors, thus joining other major institutions obtaining a portion of Petrie’s finds – those that the Egyptian authorities did not retain for the Cairo museum. The Egyptology collection now numbers some 1800 items of the highest quality. A final section deals with the influence of art historian Julius Lange, who inspired Jacobsen’s overall vision for the museum: a continuous artistic path from ancient Egypt through Classical Greece into the modern era. Paperback, 149 DKK (approx. £14.50). The daily life of the ancient Egyptians has come to us through the sometimes vivid but stylised scenes found in tomb paintings. Many people assume from these that the Egyptians were obsessed with death. In fact they were obsessed with life. In reality, life was hard and people faced all the usual problems of humanity. Their daily lives were translated into an idealised existence in their tomb paintings, to be enjoyed for eternity. 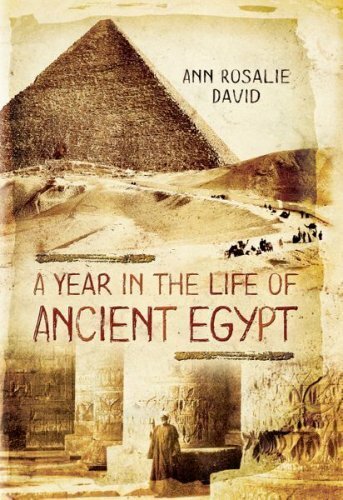 This latest contribution to Egyptological knowledge from the pen of Professor Rosalie David looks at Egyptian life from a new angle: through the eyes of members of an imaginary family, each named after real people whose mummies are in the collection of the Manchester Museum. Professor David’s long association with this collection has given her not only comprehensive knowledge of the many objects of daily life held by the museum, but also a personal interest in the people who used them. The book follows the imaginary family of Khary, a government official and land-owner, his wife Perenbast, his sons, Amenemhet, the soldier, and Nakht, the priest, through the three seasons of the Egyptian year, the Inundation, Planting and Harvesting. Through their eyes and those of the two daughters, Meryamun, who was married to a physician, Merenmut, and their youngest brother, Ipy, all aspects of life are explored. Facts about life on a large estate, military service and religious belief and practice are cleverly interwoven with evidence from the Manchester collection, much of which was found by Petrie in the workers’ town of Kahun. There are sections on town life for the rich and poor, housing, gardens, craftsmen and their work, the law, education, diet, leisure and entertainment, all covered in a clear and approachable style and accompanied by a good selection of photographs of objects from the Museum collection. A further family member, Nefert, Kary’s mother-in-law, suffered many health problems and eventually died, providing the opportunity to explore medical knowledge and practice and the final stages of life followed by the rituals of death. Her health was badly affected by her environment, leading to sand pneumoconiosis and parasitic infestation as well as painful dental problems. These afflictions are all commonly found in the real people whose mummies rest in Manchester Museum. Using the device of the life of one family, the book provides a window onto one small period of time while exploring the wider range of Egyptian history. Change in social life, technology and even religious belief would have been much slower than in our own day so that wider conclusions can be drawn from available evidence. It provides a very readable and informative survey for the Egyptian enthusiast and for the general reader. The latest in a series produced by the Classical Press of Wales on interesting Egyptological topics, this volume presents the proceedings of a groundbreaking conference held at Swansea University in 2010. Simultaneously streamed online, the conference provided a variety of different perspectives on ancient techniques, and some of the highlights are included here. The book opens with a useful introductory essay by the editor, outlining the value of both experiment and human experience in understanding Egyptian material culture. Pioneers, such as the Manchester Egyptian Mummy Project, are mentioned here. 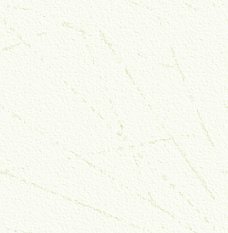 Individual chapters by specialists cover the topics of stoneworking, woodworking, textile production, flint knapping and animal mummification, with very useful illustrations of various techniques, ancient and modern. The contributions of individuals such as Flaxman Spurrell (a little-known friend of Flinders Petrie, with a special interest in Egyptian colours) and Lt-General Pitt Rivers (after whom the Museum in Oxford is named, and an early advocate of experimenting with stonecarving and boomerangs) are also highlighted. The value of the book is not just in the broad range of subjects covered, but in the fascinating detail provided in areas often overlooked elsewhere or simply taken for granted – for example, how exactly does one pleat a garment in the manner represented in tomb scenes and sculpture? 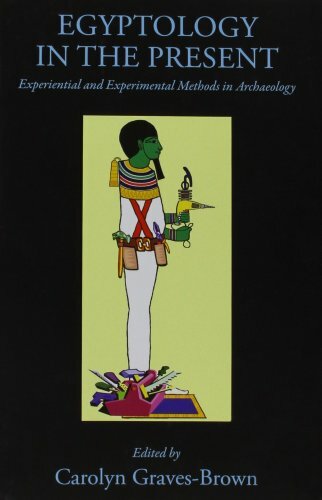 This volume challenges the way traditional Egyptology has been constructed, and advocates for both experimental and experiential approaches to the past. This souvenir volume celebrating the centenary of the foundation of the Petrie Museum was partly sponsored by the Friends of the Petrie Museum. It is edited by Alice Stevenson, the museum’s Curator, who also contributed many of the articles within it, and is beautifully produced and illustrated with colour photographs of a tiny selection from the museum's 80,000 artefacts. An introductory chapter outlines the history of the museum; it was founded in 1915 as a teaching and research facility by combining Flinders Petrie’s own collection of ancient Egyptian artefacts with those willed to UCL by Amelia Edwards, and was originally located on the top floor of the main UCL building. This was destroyed by bombing in the Second World War, fortunately after the collection has been moved to safety, and in 1949 the museum was re-sited to an area that had formerly been stabling for horses. This ‘temporary’ home proved to be permanent, and plans to move it into a more suitable building have so far come to naught. The remainder of the volume consists of some 35 articles written by prominent members of the Egyptology community in the UK, each based around one of the illustrated artefacts. Campbell Price, for example, has contributed a piece on Petrie’s recovery of the shabtis of Horwedja at Hawara, illustrated by photos of three of the shabtis and a page from Petrie’s notebook. 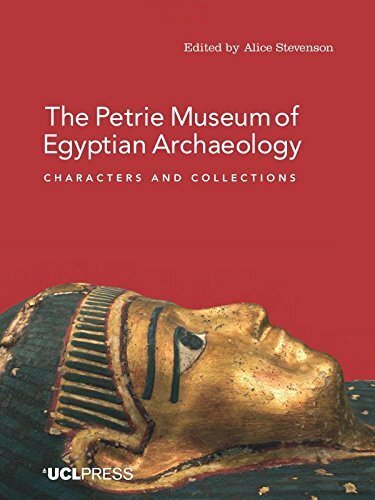 For any visitor to the museum, this book will be a very worthwhile souvenir and it will certainly encourage others to see its astonishing variety of exhibits, many of which are unique and of enormous importance to the world of Egyptology. 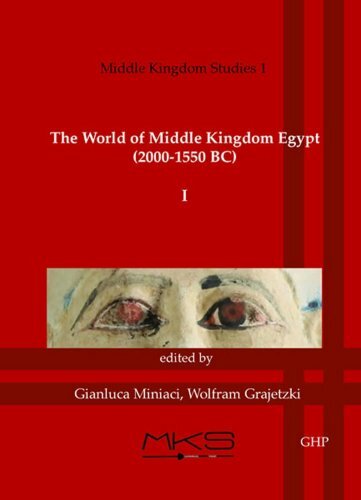 This is the first in a planned series of volumes highlighting recent studies and new discoveries in the Middle Kingdom (also encompassing the First and Second Intermediate Periods), with the aim of redefining this less well known but important period of Egyptian history. The Middle Kingdom is considered to be the classical period of ancient Egyptian art, language and literature, but unfortunately much of the monumental architecture has been lost and far less is known about rulers such as Senusret I than the later New Kingdom pharaohs. Studies have focussed on settlement sites such as Lahun or Tell el-Dab’a, and a number of provincial cemeteries such as at Abydos, but many of the latter were excavated very early on and were not well recorded. However, current work by many of the contributors to this volume is slowly beginning to fill in the gaps. There are twenty-four papers presented here, covering archaeology, art, religion and written sources. Melinda G. Nelson-Hurst offers a re-evaluation of Khnumhotep II’s autobiographical texts using the ‘social house’ approach (which considers the family within the context of their social unit with its political and economic alliances, not just direct family relations), while Helmet Brand takes a closer look at the well-known ‘Late Period’ quartzite head of Montuemhat at the Museum of Egyptian Art in Munich and finds proof that the statue actually dates to the late Middle Kingdom. Angela Tooley examines a previously unpublished group of tomb objects in the Manchester Museum which proved to be from a Second Intermediate Period tomb discovered by Garstang at Abydos and which includes a rare female statuette, and David Lorand explores how the Twelfth Dynasty king Senusret I presented himself and his new concept of kingship through iconography and text, and the production of huge statues incorporating stylistic elements from his revered predecessors. With comprehensive bibliographies and black-and-white diagrams and photo illustrations, this is a must-have reference for anyone with an interest in this fascinating period of Egyptian history! First reviewed by Bob Partridge in AE64 in 2011, this ‘classic’ has been issued as a revised edition; a couple of the plans have been replaced to include more information and the notes and references have been updated, but it remains essentially the same work as the original. The ‘Babylon’ area of Cairo, possibly founded by incomers from Mesopotamia who settled there and gave it its name, is home to an ancient mosque, the renovated Coptic Museum and some of the oldest Christian churches in the world. 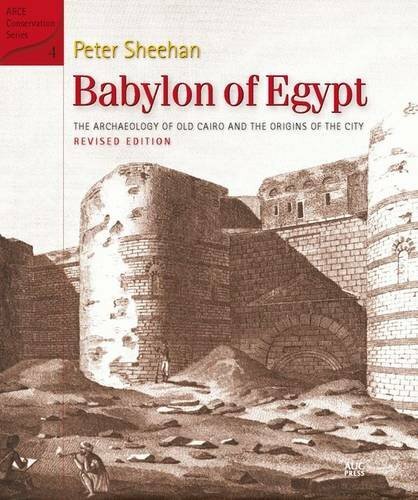 This book recounts how archaeological evidence, gathered during an American Research Center in Egypt project to lower groundwater level, has enabled a picture to be built up of the occupation of the area from the sixth century BC until the present day. Perhaps most interesting of all is the fact that the Church of St George is built upon the foundations of one of two Roman towers that bracketed the entrance to a canal, originally created around the end of the Late Period and reopened by the Romans, which linked the Nile to the Red Sea millennia before the construction of the Suez Canal – Roman Babylon was a crucial part of the Romans’ trade routes.